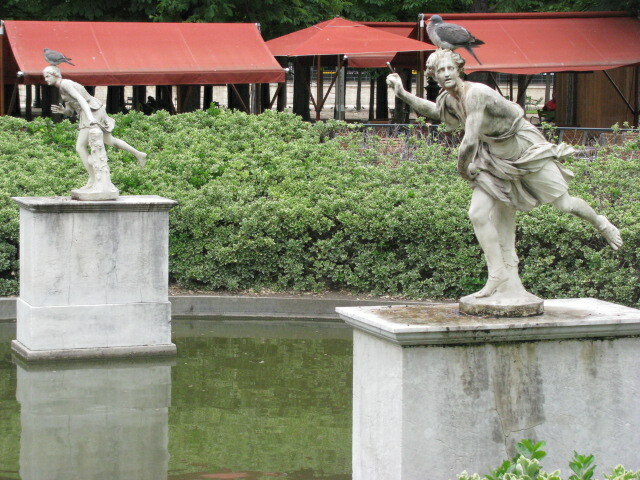 The Jardins des Tuileries in Paris has many lovely statues. These two aren’t the best of the bunch, however, I loved the pigeons. For some reason they made me smile. They also had these in Paris. Happy Friday! This entry was posted in Travel Photos and tagged 50 Year Project, France, French Parks, Jardin des Tuileries, Life, Paris, Parks, Photography, Statues, Travel, Travel Blog, Travel Journal, Travel Photo. Bookmark the permalink. Those pigeons are amusing! 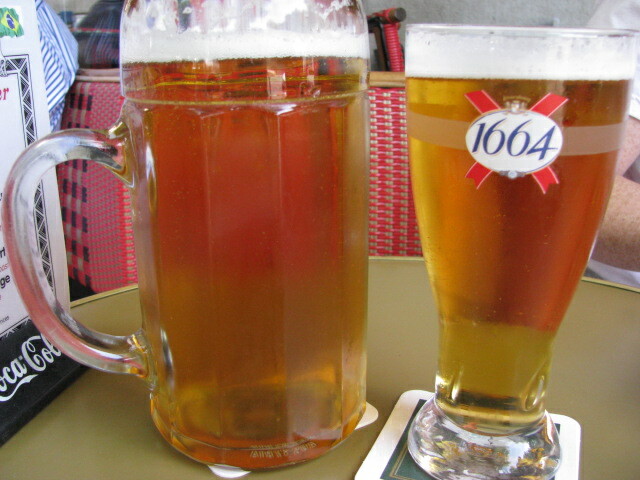 Nice refreshment also! The beers were nice. We are heading to Berlin later this summer and I’m excited for more large beers. More than a smile – those pigeons made me laugh out loud. Happy Friday!!! I’m glad…laughing is good, even if you are laughing at me. It happens on a normal basis. Oh, I would never laugh at you TBM!! I’m just laughing at the silly pigeons :). Now are you saying if you saw my organizational skills you wouldn’t crack up? Interesting..the front guy looks like a second baseman completeing a double play. Who knew the French invented baseball? I understand very well the comic in the first photo, but I admire those magnificent sculptures. What nearly was a coincidence to me, was the year in the second photo. Why so? I was preparing a new future post from old wooden church and it is from 1665. That is an odd coincidence 🙂 I loved all of the sculptures in Paris. I wish I knew more about them. I love them too. We have some that sleep outside the bedroom and I hear them cooing first thing in the morning.